Best for quick availability and returnability. Sometimes you just need to strike while the iron's hot. Impulse-remodeling is fine when it comes to interior painting, floor sanding, and laminate flooring installation. It's a different matter when dealing with solid hardwood installation. Unless you are experienced, the learning curve itself will eat up a significant amount of time. Bruce is the McDonald's of wood flooring: competent but none too exciting. Nearly 67% of its solid hardwood offerings are devoted to good old domestic oak. Don't look too hard for hand scraped or distressed finishes, either, because you won't find many. By virtue of being carried by The Home Depot and Lowe's--unaffiliated companies which collectively have nearly 4,000 stores--Bruce blankets the world. Wherever you live, you don't have far to drive to purchase Bruce flooring. Consider the value of being able to pick up your flooring in person, eliminating freight costs. Almost as important is the ability to return extra flooring--or the entire batch, if needed. Online retailers may cut special "Free Shipping" deals for sending it to you, but never will they offer to ship the product back for free. New Hampshire-based Carlisle is intent on changing the lofty status of a plank so that it is accessible to more homeowners, and that these homeowners understand this unique product. This 40-year-old company factory-finishes its flooring in a ​site-finished manner. Most factory finishes have a hard, onion skin-like quality; site finishes are tight and adhere well to the wood. Factory finishes require chemical stripping; site finishes can be sanded down with relative ease. Best for cheap flooring from a brick-and-mortar store. Ever been to a Costco and experienced the joy of quarter-mile lines and unreachable products three shelves high? Say what you will, that store has authentically low prices. Lumber Liquidators is a bit like that: weather the pain for good deals. Stores are tiny. No one will help you load your car. Service is often impersonal to the point of rude. Their heavily advertised Yard Sales are nothing more than employees shifting products that they already have in the warehouse another 10 feet outward. On the other hand, they have very low prices. If you check them out on a regular basis, you will find strange, odd-ball items priced incredibly low. 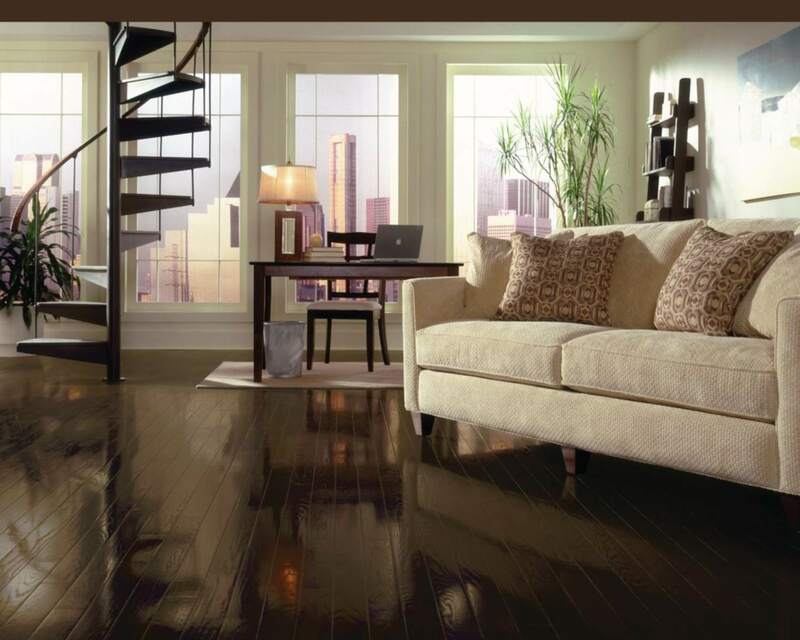 That cherry piano-finish (glossy) floor may not be for everybody, but it may be for you. If it happens to be for you--and you're fine with the 137 square feet they have--it costs mere pennies per square foot. Some Lumber Liquidators deals make your blood run fast and hot. Bellawood's quality is not the highest. Bad boards and short boards abound. If the almighty dollar is your only concern, Lumber Liquidators has everyone else beat. One New Jersey-based professional floor installer says when pricing flooring, he will "often check [the Lumber Liquidator] site to...to determine my safe mark up." You won't find Hearne Hardwoods at your local strip-mall Discount Flooring-O-Rama (you know the one, it's always "Going Out Of Business"). Based in Pennsylvania, for over three decades this company has taken specialty hardwood flooring seriously, with Hearne family members making regular buying trips to South America and other wood-producing regions. Hearne keeps in stock over 140 domestic and exotic hardwoods, some quite unique. You've heard of ash and chestnut, but what about bubinga, monkeypod, tulipwood, shedua, and paduak? If not in stock, Hearne can get them. Hearne's massive, on-site 67" band saw and equally wide belt sander make short work of most sizes of hardwoods. Everything--soup to nuts--is done at Hearne's 20,000 sq. ft. Oxford, PA facility. As with any premium product, you will pay the price, but this is the real stuff. Best for reclaimed solid wood flooring. So many reclaimed wood flooring companies do not instill trust with consumers. From pre-millennial websites to outdated price lists to incorrect product descriptions, it's a wasteland out there, which provides more opportunities for reputable reclaimed wood flooring companies, such as The Woods Company (TWC), to gain traction. Even though new wood flooring has been added to TWC's stock, reclaimed wood is still their forte. TWC is located in the right place (south-central Pennsylvania) for sourcing wood from old barns. No, your flooring does not come from flooring. Only a small percentage, mostly maple, started out as flooring, but you don't want it to begin with flooring. Better is, to begin with, "beam stock," as Pete Mazzonne of The Woods Company tells us. They cut the distressed grade flooring from the sides of the beams, where the wood has been authentically distressed for over a century. Inner cuts allow for a lighter patina and "a less rustic character than the distressed, less saw kerf, knot, nail hole, and checking," says Mazzonne. Reclaimed wood flooring is expensive; most niche flooring is, TWC included. For eagle-eyed shoppers, TWC does have an enticing "Specials" list that provides bargains of limited quantity reclaimed and new flooring. If the quantity is right and your credit card is handy, you might just score a great deal.